Yeah, I thought he was great!! I love his volley against Uruguay and his cheeky chip-in against Japan. What a player!! Germany tops Argentina again. Congratulations to Klose for being the top world cup goal scorer ever. Good for Klose. The Germans were making comments about the Americans using German-born players in the lead-up to our game against them, but let’s not forget that the Germans use Polish-born Klose and Podolski…. I guess the Germans didn’t like the record of most world cup goals belonging to Ronaldo. It didn’t last long — just 8 years. Now it’s back to the Germans again. Brazilians chose the wrong players, which was obvious from the beginning. Forget the obvious no-go performances of Hulk, Fred, Jo, and others; Brazil chose players who best fit a non-Brazilian style of play. Think back to these World Cups: 1994, 1998, and 2002. They won it twice, and they were in the Final vs. France in the other (let’s ‘forget’ about the unfortunate Ronaldo event/poisoning/bad-luck leading up to the Final…). In those years (and in all years when Brazil plays like Brazil…) Brazil’s strength in defense was NOT organization, but rather speed of transition, hunting the ball down (‘immediate chase’ in soccer coach parlance) and individual strength as defenders. In short, sprinting like mad to get the ball back, and then either resting/re-organizing while they kept the ball, or cutting the heart out of the disorganized and/or just-starting-to-move-forward defenses of the opposition. This year they played a low-pressure, get-behind-the-ball kind of defense. Um, no. I think there were 8 yellow jerseys in the penalty area when Schuerrle’s 6th goal went in. Simple push pass at the 6 yard box. I think there were almost the same number of players in the box when Wijnaldum’s goal went in late in the 3rd Place match. Somewhere, Lucio and Aldair are vomiting. Brazil’s strength in offense is a creative, dribbling-to-set-up-the-unexpected combination play type of style. This year, it was players who thought thumping the ball forward was going to work against quality athletes in organized defenses. It did not. This is not the fault of the players: they perform as the coaches require. The problem is the very players that were put on the field in the first place. I hope that Brazil goes back to its roots and chooses players that solve soccer problems in a traditional Brazilian fashion. Look back at the three cups preceding the ’94, ’98, and 2002 successes: ’82, ’86, and ’90. Some of the soccer was brilliant, and some of it was not, but NO BRAZILIANS were ashamed of how their team played, and no one felt like a little (a lot?) of Brazil’s soul was lost. How’s that working out right now? Anyone reading Brazilian dailies? Great summary. Brazil thumping the ball forward was the most amazing thing I think I have ever seen in a world cup — especially one hosted in their own country. 1. 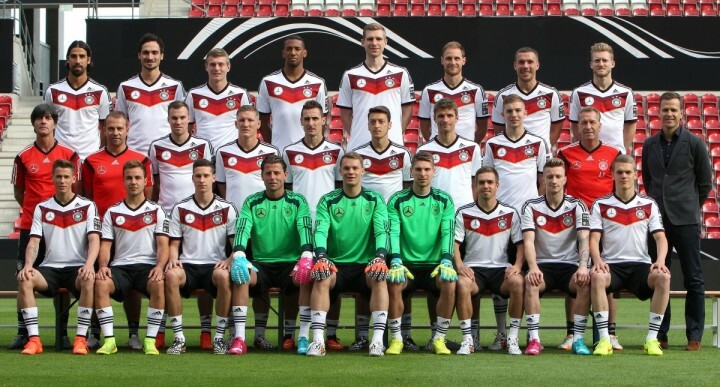 Germany scored 18 goals in 2014. Argentina scored 8. Even if you take ALL of Germany’s goals away from the Brazil game, they still scored 37% more goals than Argentina. Best team at the tournament by a wide margin. 3. Diego Maradona suffered 32 (or was it 36?) fouls against his person in the OPENING GAME of 1990 vs. Cameroon. Go look at what happened in 1982, 1986, and 1990 – he was skinning people, making perfect passes, and keeping himself from getting kicked apart by outrageous bungling charges, studs-up tackles, and dangerous assaults. Players like Messi have NO IDEA what it was like to be hunted and kicked and fouled over and over and over like was allowed in the ’80s and ’90s. Oh, and Maradona scored or assisted on 10 of Argentina’s 14 goals in ’86 – while being man-marked by (multiples of ? )the best athletes on the planet. And he lifted the Cup. Only Zidane’s efforts to put an average-at-best group of teammates on his back equals the incredible results of 1986 and 1990 for Argentina through Maradona’s brilliance. For me, it’s down to Maradona, Zindane, and the Fenomeno (R9). You can call it tired, or uninspired, but Messi did not deliver when his team needed him to (and he needed to!) if he wants to be considered one of the greatest of all time on the world stage. Scoring against Iran? Putting two in against Nigeria? They were great goals, no doubt. But even Jozy Altidore scored twice against Nigeria in a world cup warm-up game. They needed him as the lights grew brighter. And I think he knows it — Messi knows he missed his chances against Germany, and his teammates did as well. If Burruchaga and Valdano in 1986 had finishing touches like Higuaín and Palacios in 2014, Germany would have beaten Argentina back then too.